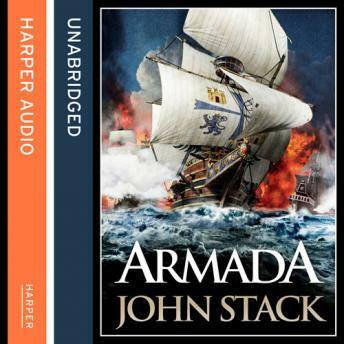 The author of the Masters of the Sea series, is back with a standalone battle book that will blow all others out of the water. 1587. Two nations are locked in bitter conflict. One strives for dominance, the other for survival. After decades of religious strife, Elizabeth sits on the throne of England. The reformation continues. Catholic revolts have been ruthlessly quashed, and Elizabeth has ordered the execution of her cousin, Mary Queen of Scots. On the continent bloody religious wars rage, but England stands apart, her surrounding seas keeping her safe from the land armies of her would-be enemies. Only at sea do the English show their teeth. Sea captains and adventurers, hungry for the spoils of trade from the Spanish Main, regularly attack the gold-laden galleons of Catholic Spain. They are terriers nipping at the feet of war-horses but their victories disrupt the treasury of Spain, England's greatest threat, and Elizabeth's refusal to rein in her sea-captains further antagonises Philip II.